If you're seemingly running out of space in your apartment bathroom, you may be wondering what steps you can take to get better organized and maximize the space available to you. 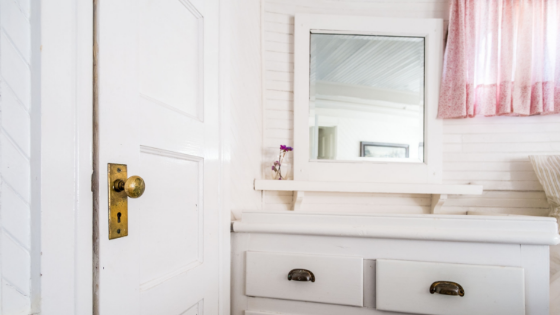 Aside from going through and making sure you don't have any unnecessary items taking up space in your bathroom, there are some other tips worth following. Installing shelving in an apartment bathroom can not only be a pain, but it may even be a violation of your rental agreement. Fortunately, there are plenty of stand-alone storage options that don't require you to drill or nail into the walls. Consider, for example, a stand-alone shelving unit that adds useful shelving and cabinet space above your toilet. Making use of vertical space with these types of stand-alone solutions is a great way to maximize storage without taking up a lot of additional floor space. If your bathroom vanity seems cluttered and disorganized, some quality storage containers can go a long way. Wicker storage baskets are a great way to store and display your towels and washcloths, and basic plastic storage bins can go a long way in organizing the insides of your vanity drawers and cabinets. By making sure everything has its own place, you can get rid of a lot of clutter and create the illusion of a more spacious bathroom as well. An over-the-door shoe organizer is a great "hack" for adding storage space to any bathroom. The compartments designed for shoes can be easily used to store things like extra shampoo bottles, hair products, hair brushes, slippers, and other essentials. Not to mention, these are very inexpensive and easy to find. In fact, this is a storage hack that you could use in just about any room of your home that could use more organization. These are just a few ideas for making the most of the space in your apartment bathroom while getting things more organized in the process. Looking for apartments in Raleigh, NC with generous bathroom sizes and so much more? The Tribute has so much to offer. Contact us today to find out more about our floor plans, amenities, and current availability as well!